I got a few awesome flower-related gifts for my birthday this year. 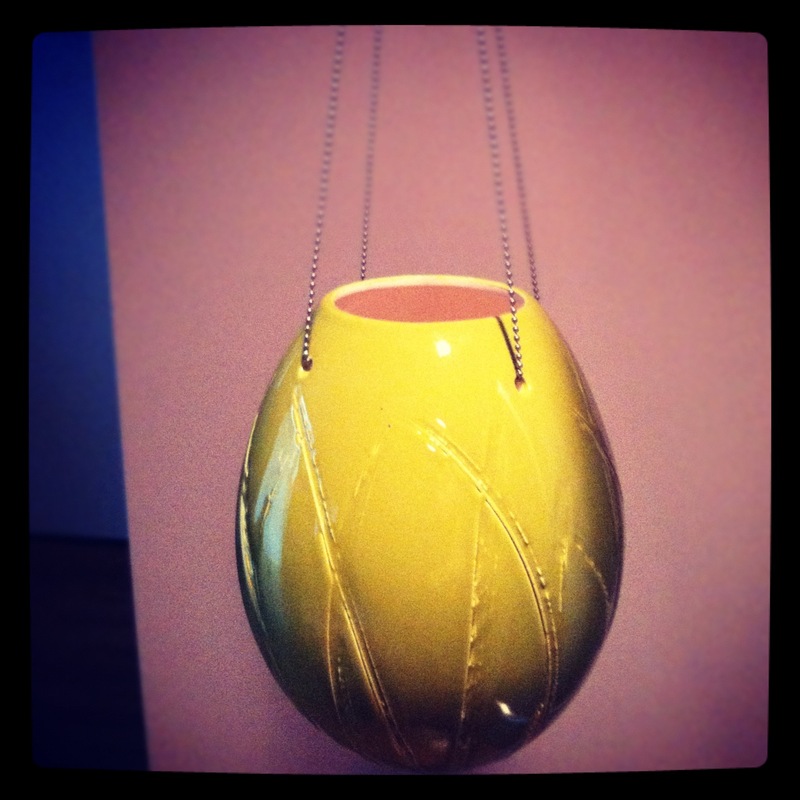 First off, Lauren gave me this fun hanging planter. I’m not sure where I’m going to put it (I really want it in the sunroom but not sure how we hang things from the ceiling in there – maybe from the brick wall – we shall see!). I’m also not sure which plant would be best. Any suggestions? I was thinking of maybe taking a piece of that viney plant that I’ve had since college (I’m sure you know the one I’m talking about – the only one that I’ve been able to keep alive for more than 2 months). I also got this beautiful book from Ashley. Ten years ago Dan Pearson found an extremely rare, large, neglected city plot and set out to design and create a garden space all of his own. 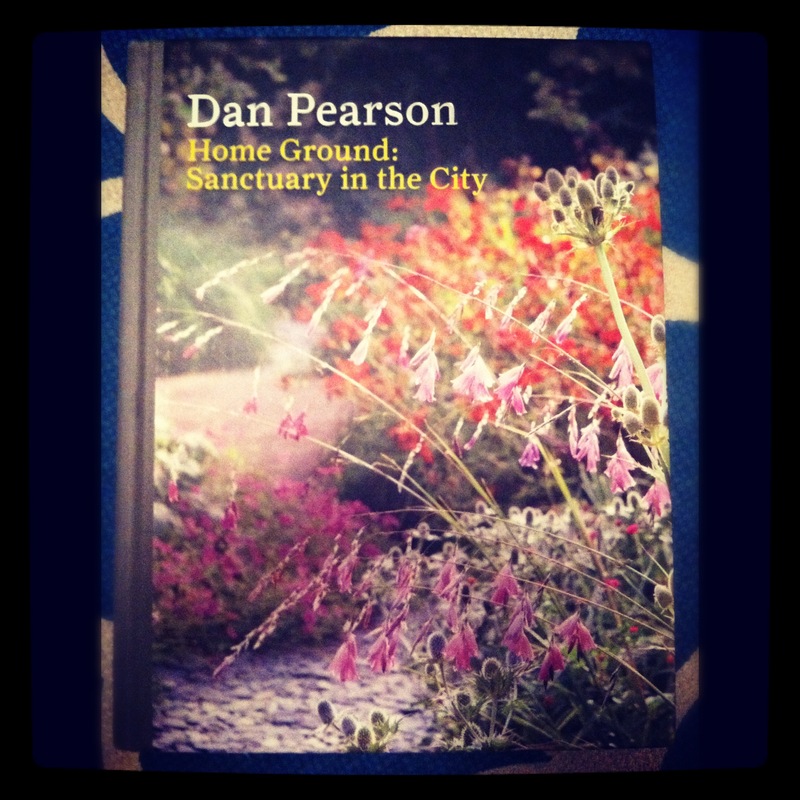 Arranged by seasons, Dan shares the challenges of gardening his city plot in a romantic and beautifully written series of diary-like essays, documenting the horticultural tasks required and sharing his successes and failures on the way. Written and photographed in ‘real time’ this book documents an urban garden and gardener at work, bringing the experience of gardening to life and offering a unique insight into the work and thoughts of the one of the world’s most respected garden designers. Can’t wait to read it – at home – in my little “Sanctuary in the City”.